Restoration and research are primary tools for aiding scholars in the developing new attributions. The attics and cellars of Florence’s most oft-visited museums continue to be a trove of little-known treasures. 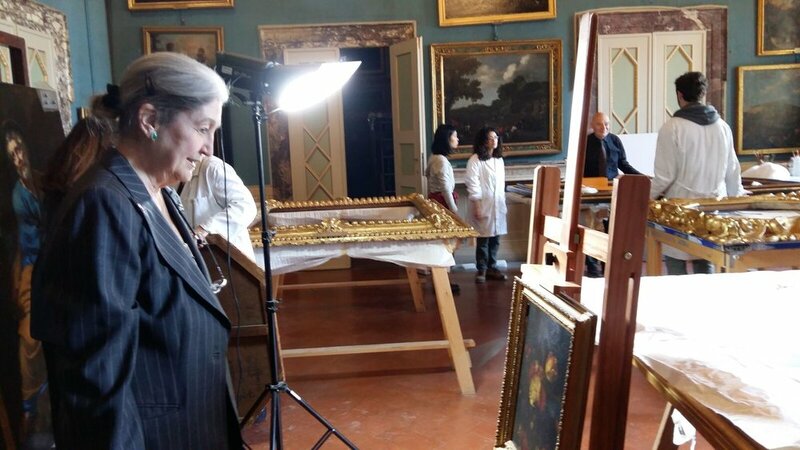 Thanks to in-depth archival study, two large-scale lunettes were attributed to Suor Plautilla Nelli and delivered into San Salvi’s museum spotlight in 2009, after extensive restoration. The San Salvi paintings taught us a lesson we continue to re-learn each year: there is more to discover! When AWA first began its quest, Suor Plautilla Nelli had three signed works to her name. Her oeuvre now counts 19 work—seven paintings and twelve drawings. We believe the affirmation that Giorgio Vasari, the world’s first art historian, made in his book The Lives of Artists. Nelli had so many works in the houses of gentlemen in Florence, ”it would be tedious to mention them all”. The haunting question remains: where are they all today?